North East hip-hop and grime is in the midst of a renaissance. Old heads often recount stories of how the scene constantly goes through a cycle of being on the verge of becoming greater, only to inevitably simmer down again. I’m quietly confident, the current crop of rap and grime artists are finally going to break the mould and establish the North East as the next hotbed for the respective genres within the UK. 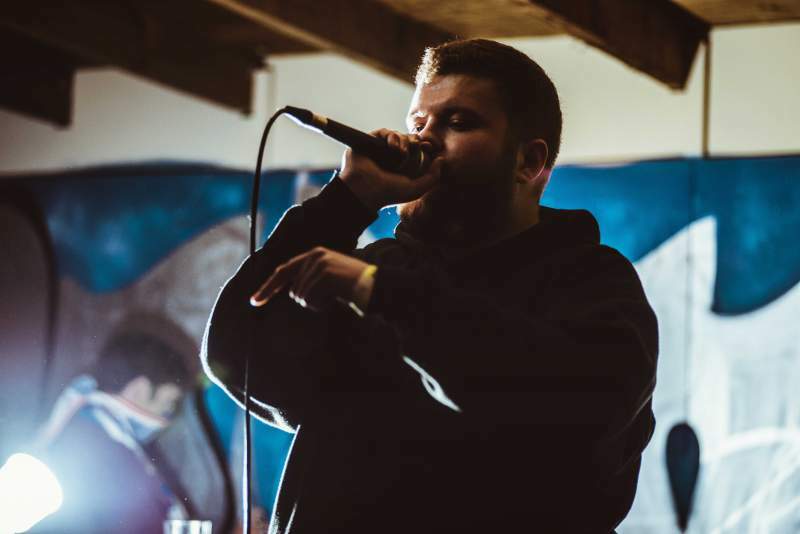 You can ask pretty much anyone within the scene, and every single one of them will tell you that Sutherland is hottest up and comer in North East hip-hop. Yet to release a debut project, the Morpeth barsmith has made a name for himself with a string of hard-hitting, unapologetically honest single releases including Free which features a cameo from yours truly. The Newcastle rapper has recently been working on a number of collaborations. Posse cut No Lives Matter impressed a number of plaudits and his work with New North East’s Reali-T, who also has a project on the way which would be number six on this list, has been so well received the pair are working on a collaborative EP. The impact Sutherland has had so far within the region without a project is incredible and unprecedented. The EP may not yet be titled, or even given a release date but rest assured, whenever it comes, all ears in the North East will be wrapped around Sutherland’s debut EP. How long have we been waiting on Max Gavins’ 1994? Since his last release, Max has changed his artist pseudonym from Suus, moved around the country and graduated from University with a degree. Granted, he’s been working on his education but considering he’s one of the most talented musicians within local hip-hop, the anticipation is turning into impatience. Good news has come through social media however with SoShe producer Jaimie Johnson revealing he was mastering the album on March 29th. Max looks like he’s going to be actively involved in music since moving back to Newcastle. He has been vocal on social media looking for a battle rap opponent for when Don’t Flop comes to the region on May 20th. Having personally heard little snippets from the album, 1994 is going to be worth the wait – so long as it actually drops in 2017. First of all, if you’re not following Absorb on Snapchat, stop reading. Open Snapchat. Follow ThisIsAbsorb. At the time of writing the Durham representers Snapchat story is currently filled with snaps of him running around a plane in facepaint – presumably for a video from the Coping Mechanisms, Missions and Bad Decisions EP expected sometime in April 2017. The #PTFAD artist has proven himself capable over drum ‘n’ bass, grime and according to a recent interview is going to be unleashing his singing upon the forthcoming EP. The lead single from the EP Triple X Hell is one of the best releases I’ve heard from anywhere in the world in 2017. If Absorb brings the same quality across ‘Coping Mechanisms, Missions and Bad Decisions’, it will be a strong contender to top a load of end-of-year lists. Three years. THREE WHOLE YEARS. Three years since Jister and The Lion Ranger first worked together for the Absurdism EP. Considering the classic they created on the aforementioned creation, its frightening to think about the quality they might produce for the full length album they’ve been sitting on for THREE WHOLE YEARS. Ever since JTLR was announced I’ve been pestering Jister to release it. The Teesside artist is truly one of a kind. One of the most talented rappers the North East has to offer, but also absolutely unique. NARC.’s own Nick Wesson mentioned on social media recently that he has heard the album. Beyond being a little distraught I wasn’t the first to hear JTLR, the confirmation that it exists and has been listened to by a fellow local hip-hop enthusiast has made me go overboard with excitement once again. Your favourite local rapper’s, favourite local rapper. South Shields’ Rick Fury is considered by just about everyone in the North East hip-hop scene as the greatest to ever do it. His ability to weave narratives together is unparalleled by his regional peers. After a somewhat disappointing Enter The Dragon release, the former Dialect barsmith proved he still has skill with the pen on 2016’s How To Enjoy Losing EP. Since his return with DJ A.D.S, Rick has been back to his best and so we all wait in anticipation for the Lego Scarface album. Expected to be released during The Bridge UK Hip Hop Festival in Gateshead on May 6th, Lego Scarface is this year’s most anticipated album.